The BBE Pro sparring gloves are equipped with a thumb attached safety feature and have double stitched seams for added durability. They are made from leather to ensure high quality and a superior feel. An elasticated wrap around wrist support provides additional comfort and safety, whereas the injection moulded shock absorbent foam padding inserts guarantee consistent size and density. These professional sparring gloves offer a ventilated palm for cooling, as well as an anti- bacterial and anti-slip sweat absorbing lining. 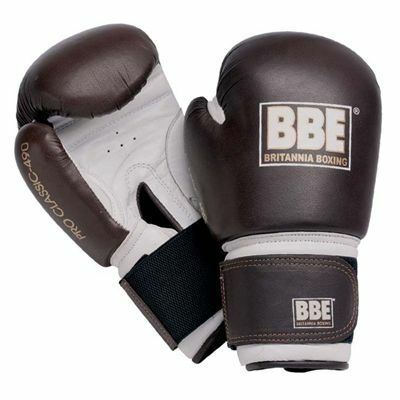 for submitting product review about BBE Pro Leather Sparring Gloves.